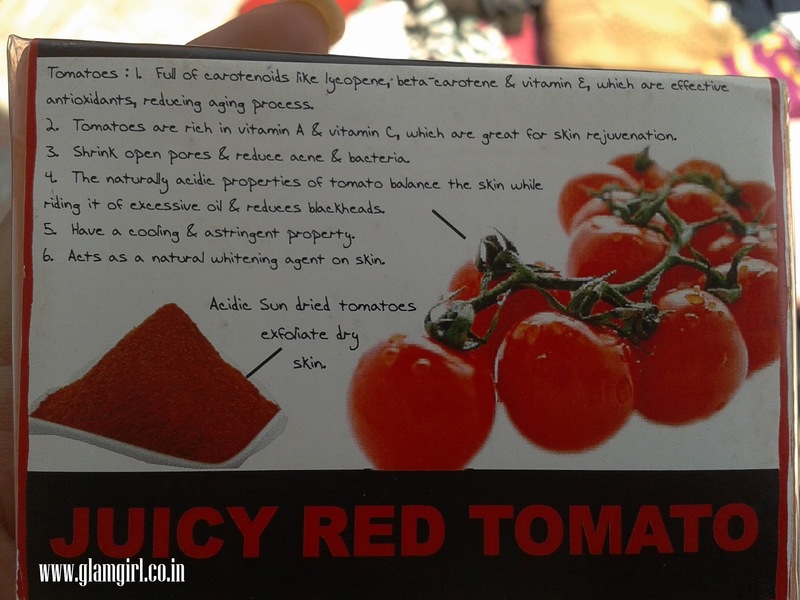 Soulflower uses tomatoes at their reddest and ripest, with no preservatives or artificial ingredients, to make up this wonder of a soap. Don’t wish for healthy skin, get it! This soap naturally cleanses and balances oily, troubled skin. Also helps to refine enlarged pores and soothe skin, making it a good choice for oily skin. This soap claims to get rid of acne, sun tan, blackheads, blemishes and rashes etc. I have been using it since 3 weeks and everything is still same. It contains small beads that makes soap surface uneven. These small beads work as scrub. If you don’t see any benefits then you don’t see any flaws too. Doesn’t do anything for blackheads.